The rental apartment is located in Xuan Dieu street, close to Syrena shopping center, cafes, restaurants, shop, ... 10 minutes drive to downtown. Brand new apartment has the total living area of 100 sqm, composed of 2 bedrooms, 2 bathrooms, a bright living room and an open kitchen. It is fully furnished. 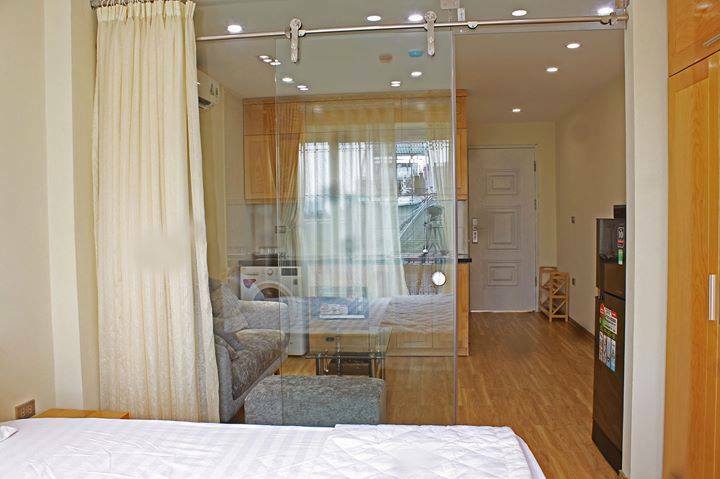 The rent is inclusive of Internet, tap water, cable TV, cleaning 2 times per week, 24 hours security, motorbike parking. 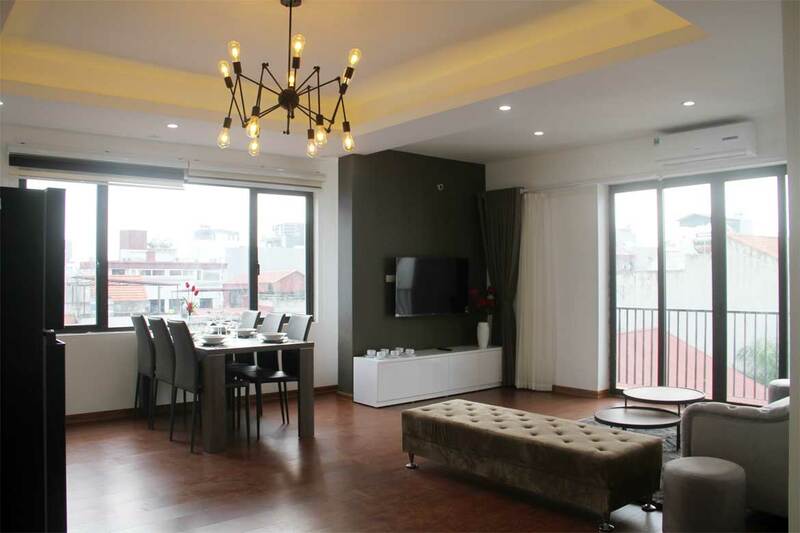 Modern serviced apartment with 1 bedroom for rent on To Ngoc Van street, Tay Ho. 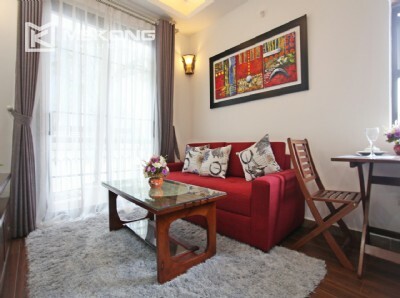 The apartment is fully furnished with high quality furniture ad equipment. 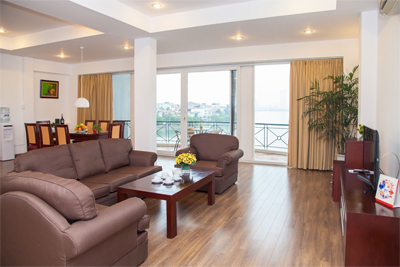 Balcony in both living room and bedroom with nice view of To Ngoc Van street. The rent is inclusive of high speed Internet wifi, cable TV, cleaning. It is located in convenient location, easy to eating out with many local food restaurant, 10 minutes drive to Old Quater. 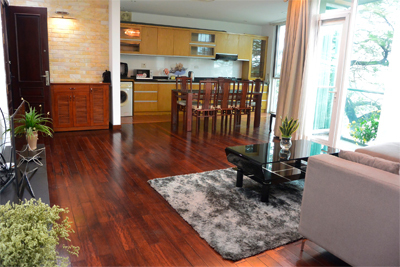 One bedroom serviced apartment for rent in Dao Tan street, Ba Dinh district, Hanoi. 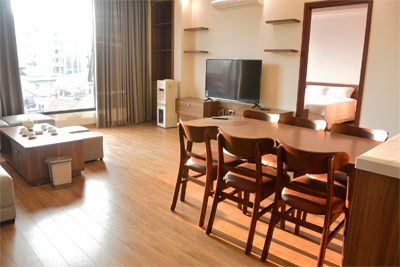 Total living area is 60 sqm, composed of 1 bedroom, a bathroom with bathtub, a brigh living room and open kitchen.